Having spent about 30 minutes in La Conciergerie, I was getting hungry and it was time for breakfast or brunch and the best way to enjoy breakfast is to dine alfresco. We walked opposite of Sainte Chappelle which was already seeing a huge crowd gather. L’Annexe was just a random cafe that was chosen to for our breakfast. We dined on the small table at the sidewalk, to enjoy the summer morning. I love jus d’orange here in France. 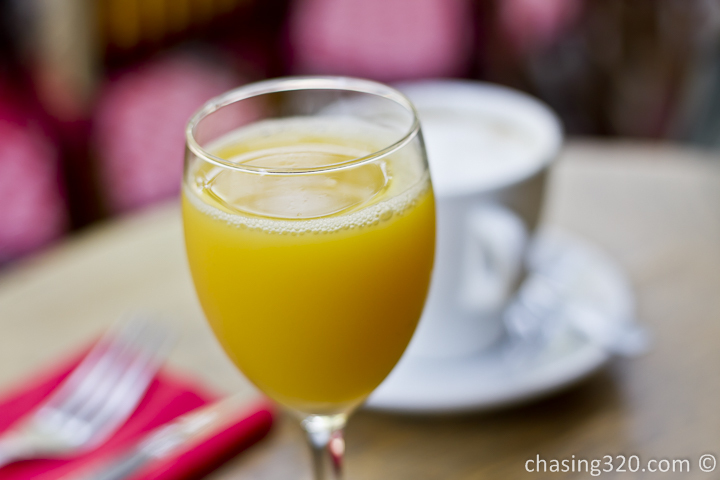 The bitter sour juice is the perfect zest for a morning. Best drank cold. Grab a shot of coffee too. 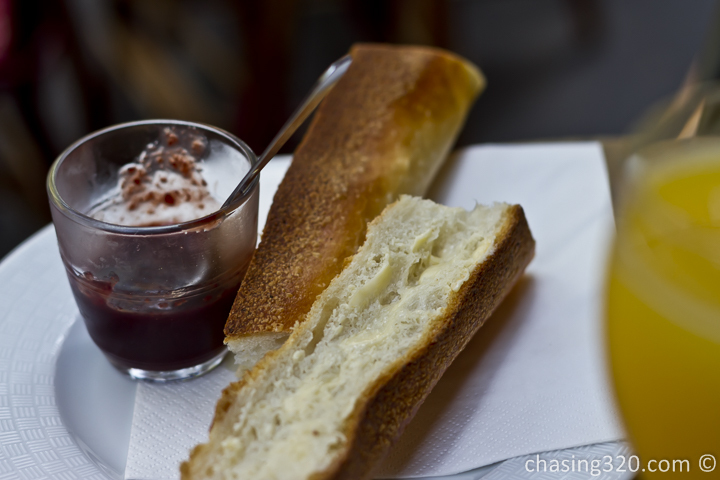 I ordered toasted baguette with strawberry jam. 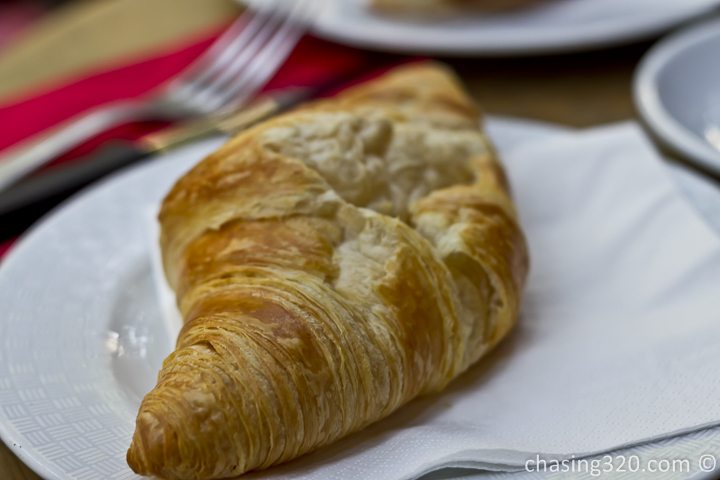 The croissants in Paris are the best. They are flaky, soft and buttery. Time for breakfast! 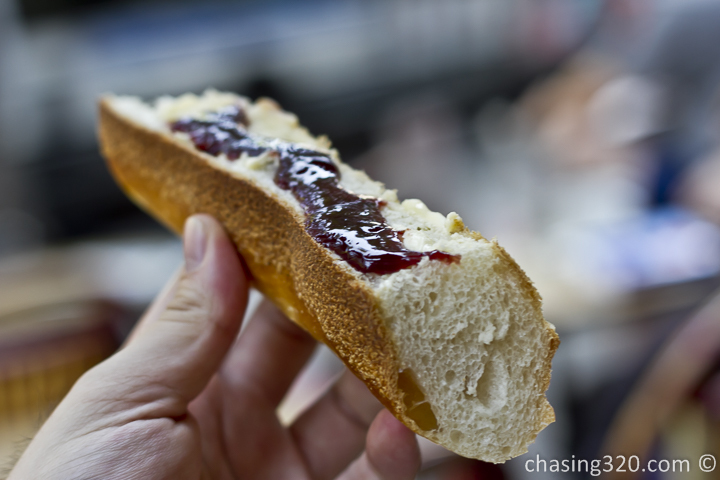 A bit tough as it with all baguettes but the rich strawberry jam is perfect. 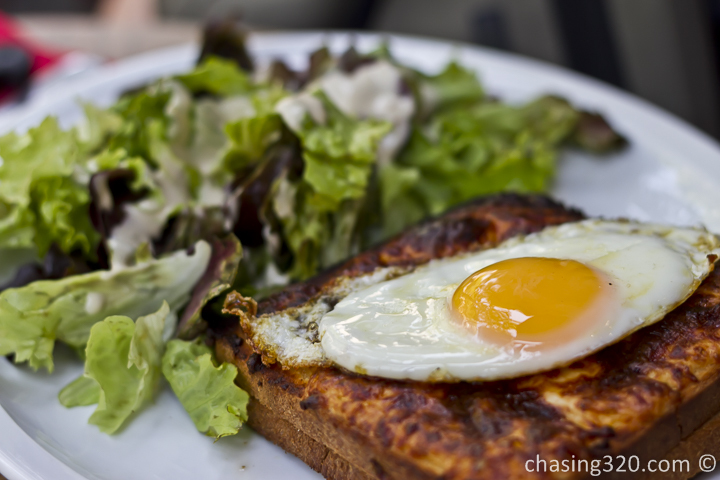 We added a croque madame which has an egg on cheese and toast. A total of 17 Euros and breakfast was complete. Time to head off. We’ll return for Sainte Chappelle another day.